Retaining wall is a masonry wall constructed to resist the pressure of liquid, earth filling, sand or other granular material filled behind it. 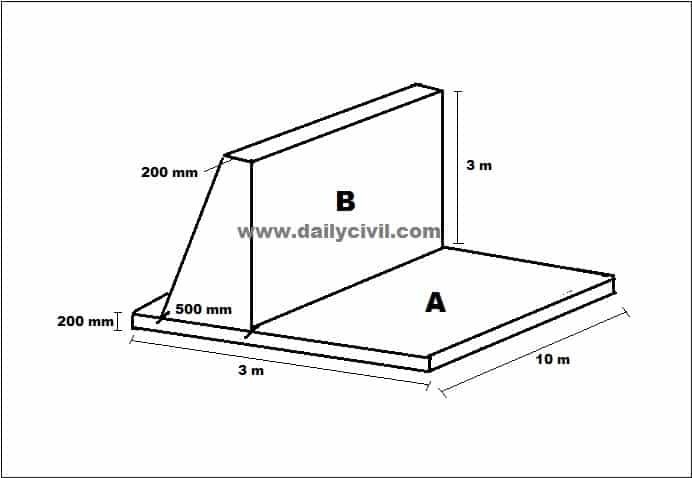 In this article, I will discuss how to calculate the concrete volume for retaining wall. Let’s get started. To calculate the volume of retaining wall we need to calculate the volume of retaining wall. Here I have divided the retaining wall into two parts, part A is the base slab and part B is the stem of retaining wall. So Volume of retaining wall = Volume of base slab + Volume of stem. The stem is a trapezoid. Here I have divided the retaining wall into three parts, part A is the base slab, part B is the stem and part C is the counterfort of the retaining wall. Part B is a trapezooid. The total volume of retaining wall = 6 + 9 + 1.5 = 16.5 m³. 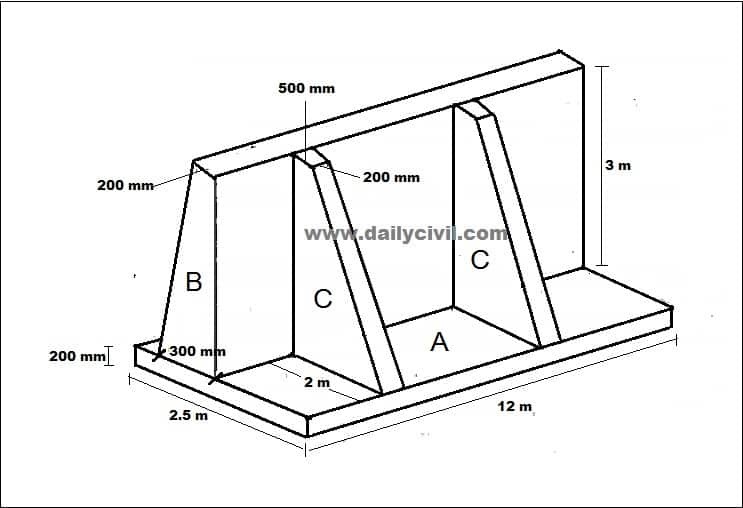 Very helpful for civil engineering.